Photos Disappeared from iPhone After iOS 12 Update? Fixed! Apple has just released the official version of iOS 12 system, with plenty of new features included, such as lively Memoji, powerful Camera Effects, etc. Many iPhone users can’t wait to upgrade to the latest version. However, you may don’t know the new iOS update is always risky, and you’re probably to lose important iPhone data once it failed. 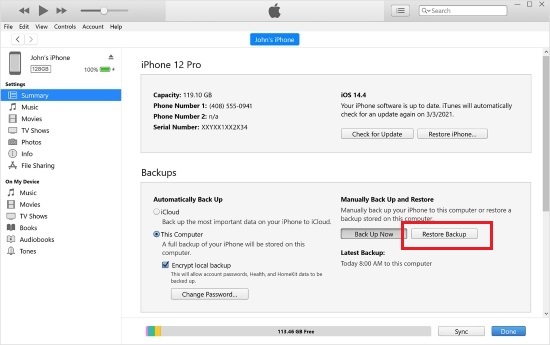 We suggest that you should back up your existing data before starting to upgrade iOS system. Still, if your photos disappeared from iPhone after update like Attila, you can read the guide below with 4 possible solutions provided. First, go to Apple official site (iCloud.com) on your browser, and you’ll be asked to type in your Apple ID and passcode. Do as it required and enter your iCloud account. Select the Photos app. And then pick the images you lost due to failed iOS 12 update. Click the “Download” icon to export them to the local folder of your computer. If your photos do not appear in iCloud.com > Photos, you can restore a backup from iCloud. But first you need to efface all content on your iPhone, please make sure you have made a backup for it. Next follow the quick steps below to recover lost photos from iPhone. Open your phone and then go to the "Settings" > "General" > "Reset", and press the "Erase all content and settings" button to clear all the data and settings of your device. Then do as the onscreen instruction said and tap the "Restore from iCloud Backup" option when it comes to the "Apps & Data" screen. Enter your username and passcode to sign in iCloud account and then pick the backup file that may contain your missing photos to start recovery. Wait a while till the restoration ends, and you'll see the lost pictures come back on your phone. 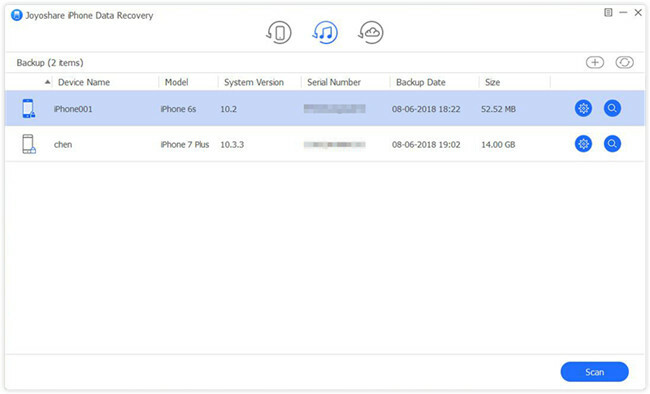 Similarly, if you have synced your iPhone data with iTunes regularly, you can also restore a backup from iTunes to recover lost photos on iPhone after updating to the latest iOS 12. At first, launch the iTunes app on the desktop of your computer. Then use a USB cable to connect your device to the computer. Tap the "Trust" option on your phone when iTunes asks you to trust this computer. After iTunes detected your phone successfully, you can hit the small iPhone icon and go to the "Summary" > "Backups" > "Restore Backup"; or just go for the "File" > "Devices" > "Restore from Backup" from the drop-down menu. Now hit the "Restore" button and wait until the restoring process is completed. 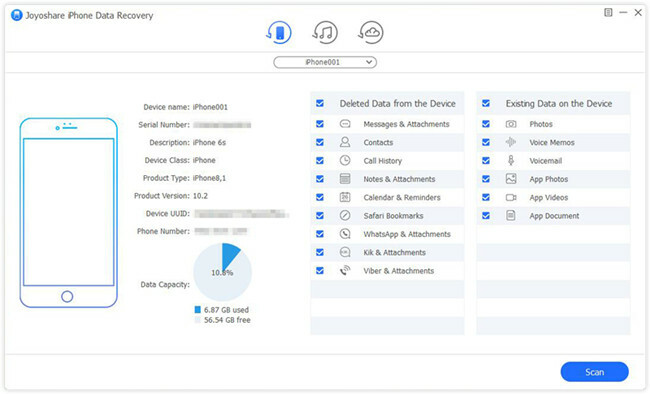 The most efficient method to recover disappeared photos from iPhone after iOS 12 upgrade introduced now is to use a powerful and professional data recovery utility called Joyoshare iPhone Data Recovery. 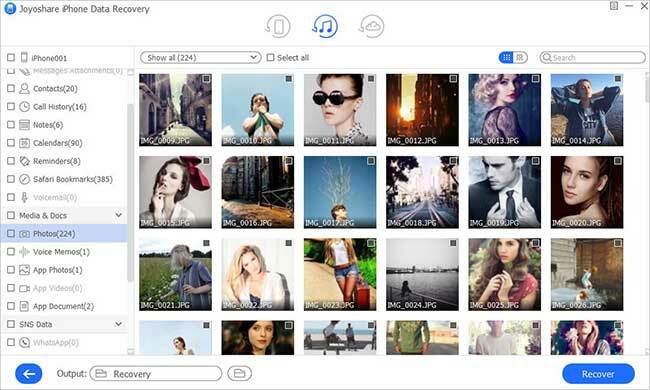 This is a 100% trustworthy iOS data retrieval that can recover up to 20+ types of lost file including photos, videos, contacts, messages, calendars, notes, Safari history, WhatsApp/Viber/Kik messages, etc. Apart from failed iOS upgrade that resulted in data loss, it can also save data from other kinds of data disasters such as factory reset, forgotten passcode, water damaged iPhone, stuck device, virus attack, etc. You're freely to preview the items before recovery and recover the ones selectively, with a very high success rate. 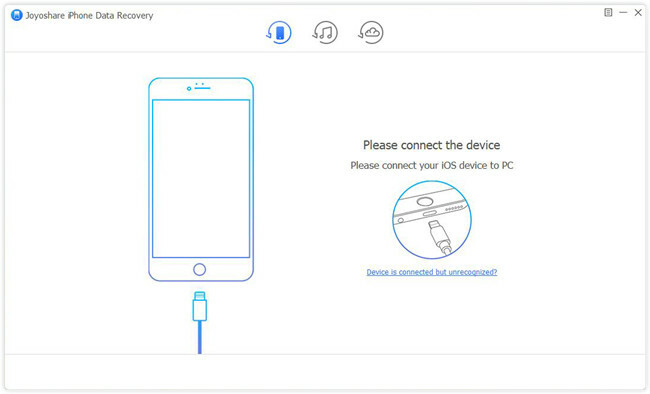 First of all, you need to download Joyoshare iPhone Data Recovery to your computer. Then connect your device to the computer by using a USB cable. Simply launch Joyoshare and it will recognize your phone soon. After enter the "Recover from iDevice" mode interface by default, you can now choose the date types you want, such as "Photos" and "App Photos", etc. Then click the "Scan" button to let Joyoshare scan the lost pictures from iPhone. The scanning may take a while, depending on the size of your data. After it ends, you can see all recoverable photos from the sidebar. 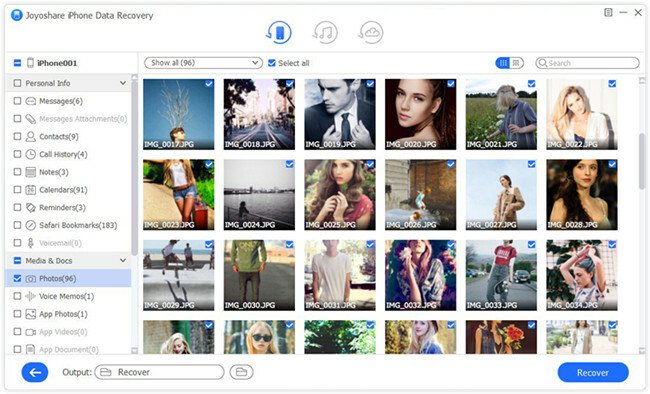 Now preview them one by one and tick the ones you desire, and then press the "Recover" button to recover all chosen pictures and export them to your computer's local folder. Launch Joyoshare app first and switch to the "Recover from iTunes" mode from the top menu bar. Here you can find all the iTunes backup files listed orderly. Pick the most relevant iTunes backup and then click the Gear icon to select the data you'd like to recover. Choose "Photos" and "App Photos" as you like, or tick all. 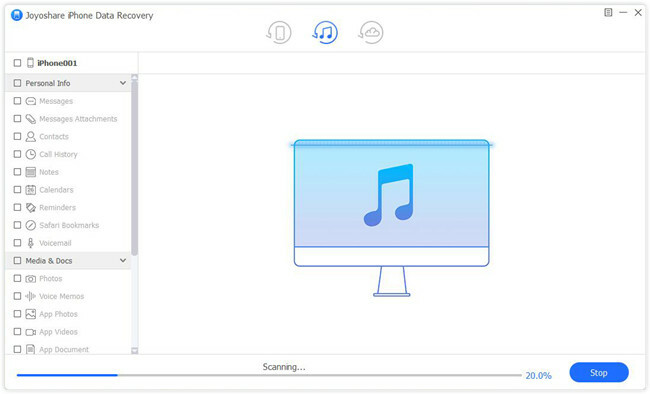 Then hit the "Scan" button to start to scan lost iPhone images from iTunes backup. Wait a minute and when the scanning is finished, you're able to preview and select the lost photos you need. 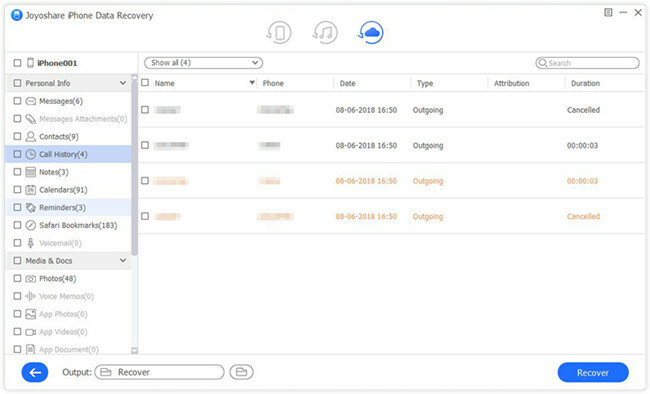 Afterward, simply export all selected items to your computer by clicking the "Recover" button. Run Joyoshare and then move to the "Recover from iCloud" mode. Log into your iCloud account after entering Apple ID and password. Then all iCloud backup files will be shown in the list. Choose the recent one and hit the "Download" button to extract the iCloud backup. Then check the "Photos" and "App Photos" options and order Joyoshare to scan the data by clicking the "Scan" button. Once the scanning comes to an end, you can see all recoverable photos orderly organized. Preview them to select the important ones, and then restore them to your computer.